2 Beds 1 Bath 838 Sq. 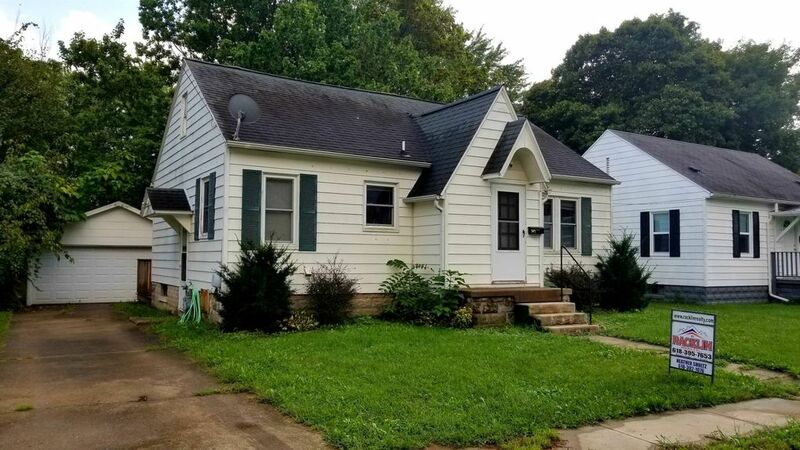 ft.
Great investment property or starter home. This home has 2 bedrooms and 1 bathroom, beautiful hardwood floors, kitchen, separate laundry room and a full unfinished basement. Sitting on a large lot, back patio and a detached garage.